Happy Friday!!! Today the BEST OF link up is back!!!! Hip, Hip, Hooray!!! And hats fix all of those things (from showing, at least)! I've mentioned before my aspirations to petition the government to pass a law requiring facinators and hats to be worn at all weddings, right? Yeah well, tomorrow we're attending a good friend of mine's wedding in Dallas and I'm sadly without a fancy, posh headpiece. Dallas of all places...I'd fit right in!!! Well, I'd have to get my hands on one first. Dang it. Maybe I'll just talk in an English accent and call it good. 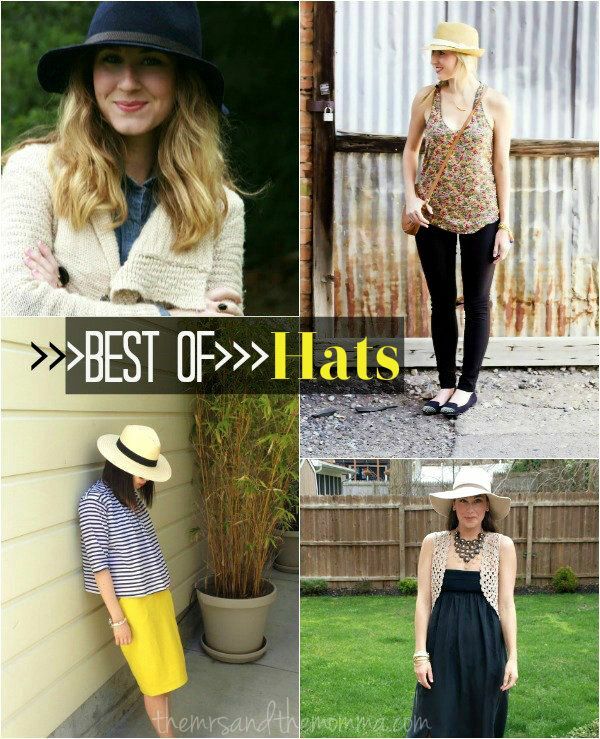 This week's BEST OF picks feature bloggers after my own heart, as I think I have almost each one of these styles of hats in my closet. Oh my goodness I'm so in love with hats right now!! I am on the search for a fabulous floppy felt hat... or just a fun floppy hat... Love this! Urban Outfitters has some great ones!!! :) Thanks for linking up again Dawnelle!!! And you always totally rock the head wrap! I just bought myself a hat....so excited to wear it! That would be fun if everyone wore hats to weddings! glad i'm not the only one who wears hats. i'm in love! thanks again for the shout out girl! It made my weekend:) Popped by all the other lovely "hat" ladies as I always love discovering new bloggers. Hope you are well and enjoyed your weekend...mine is a house of horrors with two VERY sick kiddies and now mommy has it! ARgh!!! !